I'm not awake, and it's already hot. Yesterday was hot, but today will likely be hotter. At 3 p.m. yesterday, we made it to 95˚F, with the heat index at 101˚F. And I'm not awake because I had trouble sleeping last night, and then there were bad dreams. Currently, it's 86˚F, with a heat index of 90˚F. 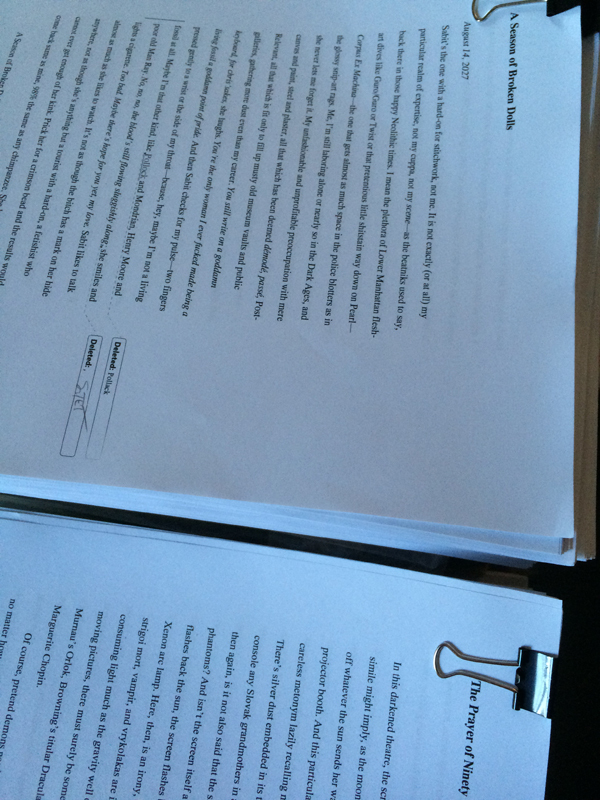 Nothing but proofreading yesterday, for The Very Best of Caitlín R. Kiernan. Well, actually I signed a small mountain of eBay books, and then Spooky took them to the post office. Then we read. We made it through "In View of Nothing," "A Season of Broken Dolls," and "The Ammonite Violin (Murder Ballad No. 4)." I have a doctor's appointment this afternoon, but we need to get through two stories before then. Last night, we finished Ken Burns' Civil War documentary. It was somehow even sadder the second time around. And we watched Arsenic and Old Lace (1944) (because it's comforting), and I had some RP. Please have a look at the eBay auctions. Thank you. Current Music:Neutral Milk Hotel, "Holland, 1945"
A different browser, the ability to "heart" entries again, these are a few of my favorite things. Which sounds way more treacly than intended, but I got stuck two-thirds of the way through the first sentence. Thanks for signing the eBay books. My personal favourite of the Ken Burns productions is the World War I series. It's not a terribly popular war to discuss but he really gives it a vibrant life and I had no idea beforehand about the level of attack on objectors and German-Americans in America.